Ever since her diagnosis Allison Toepperwein, 39, has gone from strength to strength with exercise regimes that help her Parkinson’s symptoms. Soon she realised that she had a fighting chance of begin a competitive athlete and so entered ‘American Ninja Warrior’. 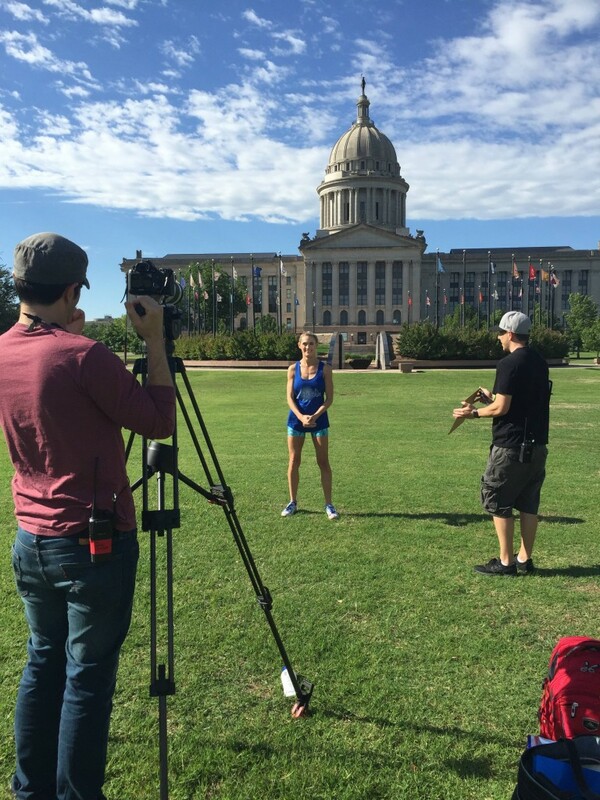 As her supporters gear up to watch her compete for the trophy, which airs on 20 June on NBC in the US, we speak to Allison about her new-found love of high intensity pursuits and why exercise is her medicine. How old were you when you received your Parkinson’s diagnosis? I was diagnosed at the tail end of 2014, when I was 37. I’ve had symptoms since 2010, but I was in denial for those four years. I couldn’t face the reality of having a life-changing condition – the really serious one that both Muhammad Ali and Michael J Fox had. I also put off having the full set of Parkinson’s test because of the financial expenses here in the US. Did you do much sport before your Parkinson’s symptoms started to appear? Growing up I did gymnastics and track running and then, at 23, I became a personal trainer – so I’ve been active throughout my adult life. During my married years we would sometimes go to the gym a few times a week – do some cardio and lift some weights but I would never really break a sweat! In 2008, two days before Christmas, I had a car crash. I sustained an orbital (eye socket) fracture that they call a blowout fracture. I had headaches that lasted for a week but I was generally OK. It was a year after this accident that I noticed my first tremor. Do you think the accident is somehow linked to your symptoms? I had stiffness and rigidity in my neck and I thought that I might have received some nerve damaged from the accident. When I first went to a neurology specialist he said: “You have a very interesting case, as you have Parkinsonian symptoms – but you don’t have Parkinson’s disease.” He mentioned the link between repeated head injuries and Parkinson’s but ruled out the condition, as I didn’t receive repeated concussions from the accident. At this point I thought that I would be given a clean bill of health and that I would be cured. So when did you realise that it actually was Parkinson’s? At the end of 2014 I got divorced from my husband. The stress of that pushed my Parkinson’s symptoms into overdrive. I had already begun to slur my speech and that got worse. I also lost 20lb, which took my weight down to about 100lb. I was disgustingly thin and stressed out to the max. I dragged my left foot and I walked into things all the time. I began to choke as I lost the use the muscles in my throat and in order to move my left arm I would have to grab my left wrist with my right hand to control it. I went back to the doctor about a month after my divorce. He looked at my arm and said: “I think you have Parkinson’s.” I was so shocked as three weeks ago he had cleared me of that. Post-divorce, I moved to my father’s house with my daughter. On the day of my final diagnosis he had travelling abroad so I felt very alone. For health insurance purposes, I logged my official diagnosis on 31 December 2014, before the beginning of the next year. How did you get into training after your diagnosis? I went to see Dr Joseph Jankovic, movement specialist and the founder of the Parkinson’s Disease Center and Movement Disorders Clinic, soon after my diagnosis. Coincidently, I was born in the same year that he opened the clinic, which to me is surely a sign!? He’s on the Michael J Fox Foundation board and says that exercise is one of the best ways to slow down the progression of the disease. As I was really underweight I began my fitness sessions gently by walking the bleachers (the tiered bench seating at sports stadiums). I kept pushing myself and eventually I could jog a lap and then sprint a lap. I managed to get my time down to just 10 seconds slower than my high school personal best! 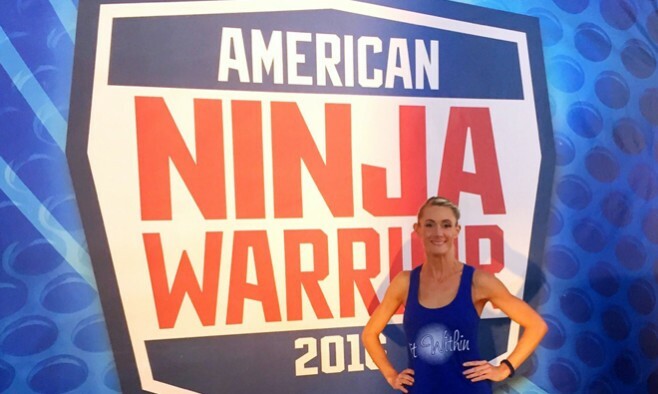 How did the idea come about for entering Ninja Warrior? Around the summer time in 2015 time it got so hot in Texas that I started training inside. Doing some weights and running on the treadmill. Indoors I started more serious training and I found that the first time I tried a pull up I could do five in a row! I entered a muddy obstacle run called the Savage Race. It was over seven miles and had 30 obstacles. While I was training for the Savage Race I would go to my daughter’s elementary jungle gym and do some climbing and post videos to my Facebook page. After watching the videos of me exercising, people started to say that I should try to enter ‘American Ninja Warrior’. 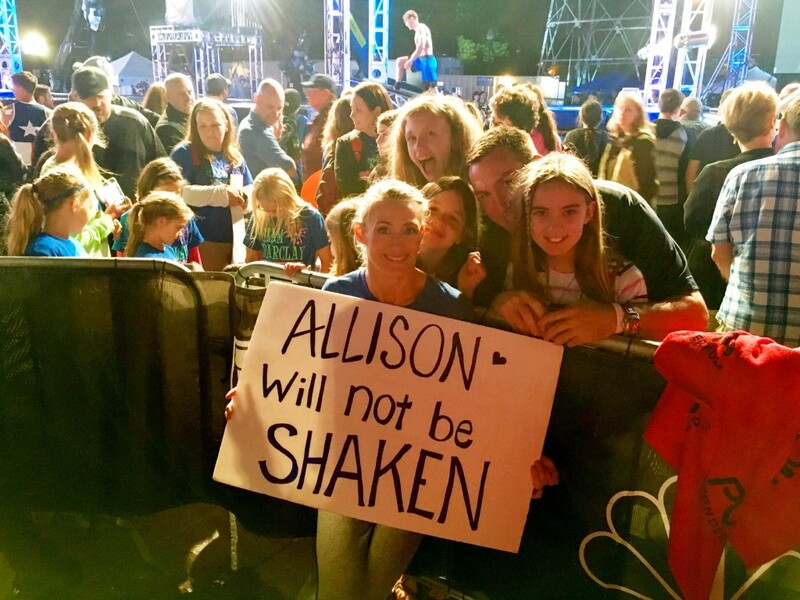 Do you think you have a chance of winning ‘American Ninja Warrior’? Most of the people that compete in ‘American Ninja Warrior’ are able-bodied and are in their 20s. Some people train for two years, but I only trained for four months. Despite that, I have as good a chance as anyone at winning – I’m a fighter and I don’t give up! 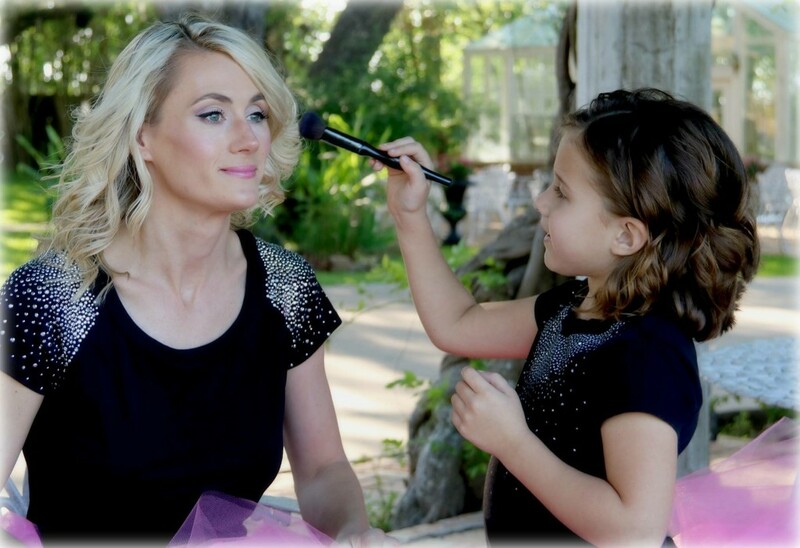 What does your daughter think about your training and appearance on the show? She has been to the Ninja gym with my and absolutely loves it. She has said to me “Mummy, I want to be strong like you”. My biggest goal is to teach her through actions, as well as words. She is seeing her Mum determined to succeed, not just with the Ninja stuff but in life in generally. I have overcome some of life’s tough obstacles. Do you think that your trainers expect any less of you because of your Parkinson’s? I’m lucky in that I’ve not really had any injuries that have kept me from training for more than a couple of days. My trainer, Sam, at first, used to go easy on me because of my condition but these days he treats me as just like any other able-bodied person. For some people their predominant symptom is their balance, and I’ve always been a bit clumsy but for me my main symptom is my tremor. When I get nervous my tremor is exacerbated. If he starts to see my tremor he’ll shout at me to get a hold of my nerves! In what ways do you think your exercise regime helps your Parkinson’s symptoms? Any form of high intensity exercise gives a rush of dopamine. I train four to six times a week and it helps me keep control over my entire body. People living with Parkinson’s who do cross-fit, boxing, run marathons and bike hundreds of miles at a time see a dramatic slowing of their condition’s progression. What are your symptoms like if you stop training? The biggest change that I notice when I stop training is that I start to get anxious and have a lot of nervous energy. It can be crippling. I feel trapped and exercise is the only way to get rid of it. What message do you have for other people living young-onset Parkinson’s disease? The biggest advantage that people with young-onset Parkinson’s disease have is that we have to just get on with life. We can’t let the disease take over as a lot of us have families, so giving up is just not an option. I mean, I’m a single mum of a very young daughter. To her, I’m everything. The benefits of regular exercise far outweigh the apathy and depression that can take hold without it. My advice is to start out small. I mean, you don’t have to apply for ‘American Ninja Warrior’! Just a few minutes of exercise each day works wonders. Whenever you’re exercising push yourself to go a little it further each time. Fight the tremor. Push through whatever symptoms you have because you will feel better over time.